Widespread acclaim is something Brooklyn based trio The Antlers have become accustomed to since the release of the magnificent Hospice in 2009. That album seemed to capture the imagination of those with a thirst for emotive, melancholy indie rock and for a brief period, they looked certain to follow a well mapped road to indie stardom. 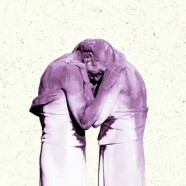 The Antlers didn’t quite follow the script – follow up Burst Apart dispensed with the quick wins of the quiet-loud-quiet formula for something a little weirder and more esoteric. Rather than consolidating the considerable achievement that was Hospice, the band bravely followed a different, less easy route. Familiars takes up where the last album left off, revealing its charms at its own languid pace. The Antlers offer no easy way in; there are no big choruses, no chest beating anthems, just starry, twinkling atmospherics, distant trumpets and hushed dynamics. A sense of wonder permeates opener ‘Palace’ while ‘Hotel’ beds down into a nice, soulful groove. Restraint is the byword here, the band reining things in when the temptation to go for grandstand finish presents itself. Only on the track ‘Director’ do they hint at the drama and power of their Hospice era incarnation – the volcanic guitars as the song draws to a close briefly threatening to erupt. Album highlight ‘Parade’ with its chopped chords and strident vocals takes us back to more groove based terrain – it’s all very tasteful and immaculately presented. And yet for all its sonic splendour, there still feels like something is missing. Having been exposed to an album that packed such an emotional wallop as Hospice did, Familiars can feel a little cold and detached. Shorn of any big hooks or memorable choruses, it never really digs in, never really grabs you by the throat. Familiars ticks a lot of boxes, and will undoubtedly appeal to their more discerning fans. It’s a solid, slow burner but after repeat plays, it remains a somewhat emotionally unsatisfying listen.